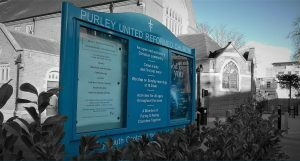 A warm welcome to Purley United Reformed Church. You are always welcome. Please come in. This is after all your church. 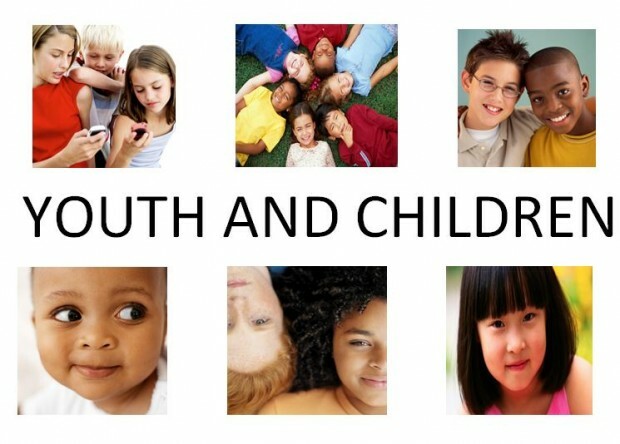 Thank you for visiting our website and we hope you find your visit helpful and informative. 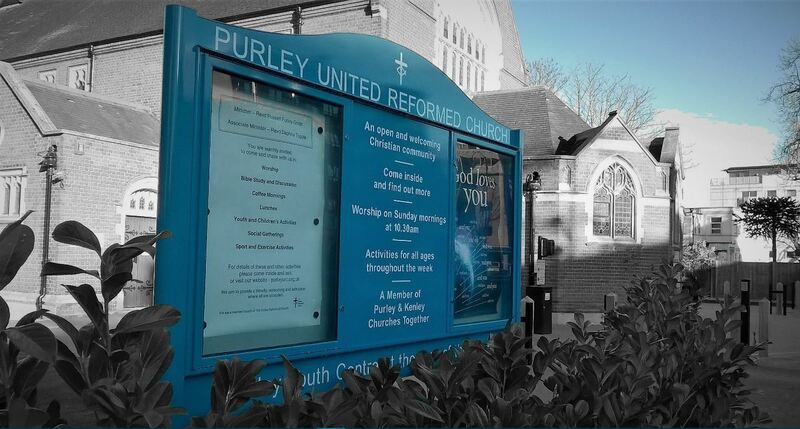 Purley United Reformed Church is a congregation of the United Reformed Church located in the heart of Purley, offering a place of worship and service to the community. We aim to be an all-inclusive community where all are welcome and all are valued. 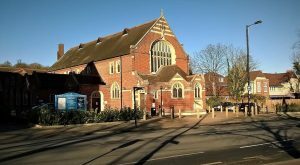 Our church building is a valued centre for the community activity and we have a strong commitment to work with other churches in the area. We aim to be a community where people can journey together and explore faith issues in an open and non-judgemental environment. 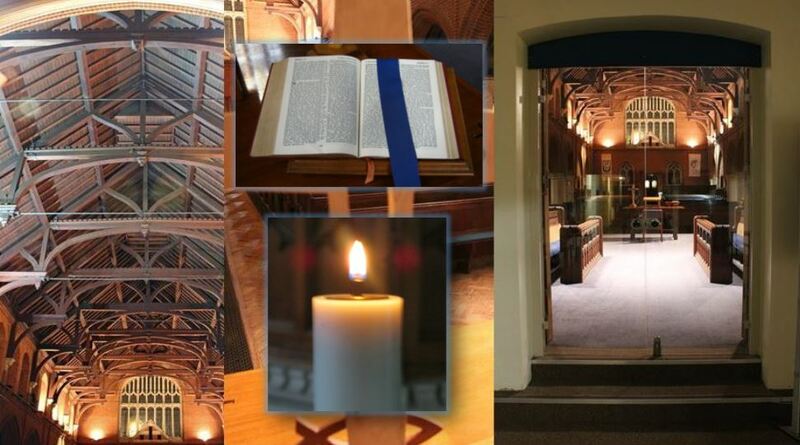 Every Sunday – Morning Worship starting at 10.30am. 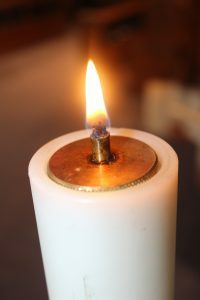 On the first Sunday of each month we celebrate Holy Communion (all are welcome). Sunday evening gatherings start at 6pm (please see programme). A mixture of worship, discussion, bible study and reflection. 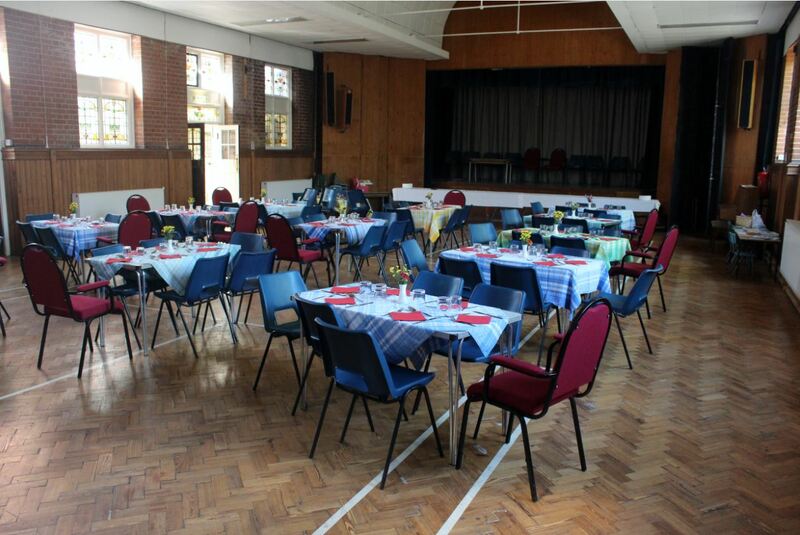 On Fridays – ˜Food for Thought” – a short reflection service starting at 1pm. 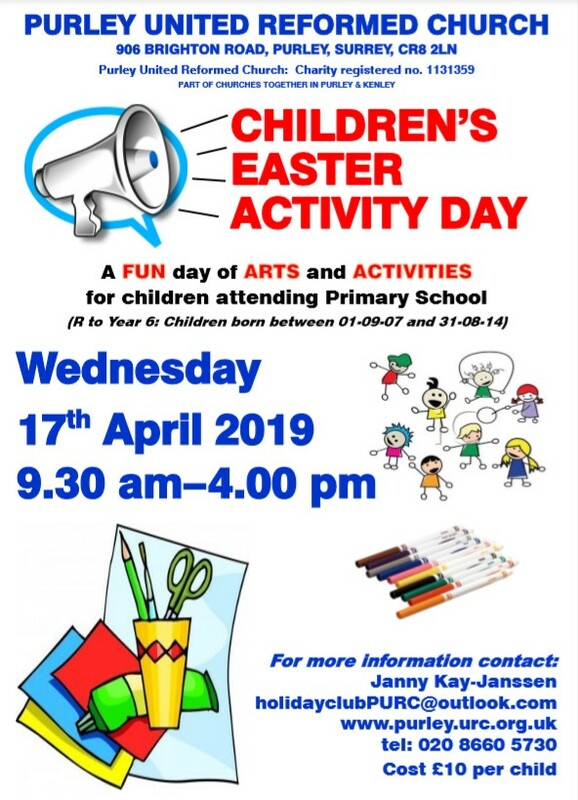 We are pleased to announce that the planning for this year’s Easter Club Activity Day has been finalised and we are now able to receive your / child’s / children application to take part in what will be an existing and fun packed day. Russell was born and brought up in Putney, South West London before studying history at Edinburgh University. 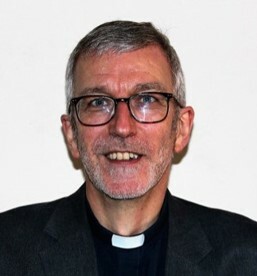 He trained for the ministry in Manchester and has served churches in Billericay, Essex, West Wickham and Elmers End in South London before becoming minister of Purley URC in January 2005. Russell is married to Nicola and they have two sons, Cameron and Ross.